From a rich culture and music scene to premier schools and a gorgeous environment, you have plenty of reasons to consider Tennessee as a place to pursue your game design degree. 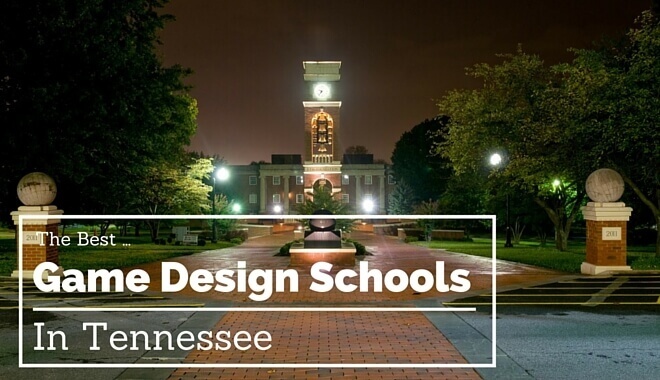 Tennessee boasts a healthy variety of public and private game design schools and universities. Many of which offer excellent programs for aspiring video game designers, developers, and animators. Having opened in 1911 and currently enrolling 23,000 students each year, Middle Tennessee State University is the largest and oldest institution in the Tennessee Board of Regents system. The University has eight undergraduate colleges with more than 40 departments and 140 degree programs. The College of Graduate Studies has 100 degree programs available. MTSU is also the top producer of graduates in the Tennessee Board of Regents system and second-largest producer of graduates in the state among public universities. In 2014 a new 250,000-square-foot, $147 million Science Building opened that represents the school’s investment toward the advancement of science and technology education. The Department of Art offers a Bachelor of Fine Arts in Graphic Design where you’ll get hands-on experience with cutting edge technology while obtaining technical, formal, and conceptual skills needed to create art with computers. As a graduate of this program you’ll be more than ready for an entry-level position in the game design industry as a concept artist, illustrator, interactive designer, animator, art director, and more. You’ll also have access to four computer labs equipped with the latest Apple computers and software. Courses you can expect to take include Drawing, Three-Dimensional Design, Graphic Design Technologies, Figure Drawing, Color Drawing, Digital Illustration, and more. A total of 120 credit hours are required for the entire program. This Graphic Design program is an excellent choice if you see yourself making games for a living on the art side of development. You’ll be more than prepared to apply for various art positions at a game studio or even start your own team by pairing up with a programmer. The only downside to this program is that it doesn’t touch the technical side of game creation, which is a big deal if you wanted to learn how to program your own games. Undergraduate: Estimated cost of attendance for the 2015/2016 academic year was $23,122. This includes the following costs: $8,296 for tuition, $8,106 for room and board, $1,540 for books, $2,708, for traveling expenses, and $2,472 for miscellaneous fees. Graduate: Estimated cost of attendance for the 2015/2016 academic year was $23,202 . This includes the following costs: $6,012 for tuition, $10,876 for room and board, $900 for books, $2,708, for traveling expenses, and $2,706 for miscellaneous fees. Bachelor of Fine Arts in Art w/ Concentration in Graphic Design. Related: See the 50 top ranked game design schools in the country. Chattanooga State Community College opened in September of 1965 and has grown to offer several degree, diploma, and certificate programs across various fields of study. As of 2009 the school consistently enrolls more than 11,500 students, has the largest postsecondary enrollment in the Tri-State area, and boasts the largest training function in East Tennessee. CSCC offers a Game Art Concentration that focuses on the design and art elements of game creation. You’ll receive training in animation, 3D tools, and level design to prepare you for a career in not just game art design but also film, animation, and other digital entertainment areas. Notable courses you can look forward to include Digital Studio Foundations, 3D Tools, Level Design, Texture Techniques, and a Game Art Capstone Project. At the end you will have a strong portfolio to show employers when seeking a job after graduation. East Tennessee State University offers 140 degree programs in business and technology, the arts and sciences, education, health sciences, and more across 11 college and schools. There are also many honors enrichment opportunities for undergraduate students. The school is located in Johnson City, a place known for its rich community with plenty of music venues, cinemas, restaurants, and more. There are also plenty of state parks and trails for students looking to receive an education while also staying fit and enjoying the outdoors. ETSU offers a B.S. in Digital Media with a core emphasis on using art and science to develop and express ideas and solve problems while creating digital media content. Four different concentrations are available: Digital Animation, Digital Game Design, Digital Visual Effects, and Digital Visualization. The Digital Game Design concentration is designed to teach you the latest media and software technology by teaching you skills in interactive design, graphic design, animation and interactive programming, and more. This program prepares you for a career in not just game development but marketing, education, corporate training, and interactive multimedia entertainment. With courses like Game Play and Testing, Game Design, and Interaction for Game Design, this is a fantastic concentration program if you want your Digital Media degree to also give you a taste of what it takes to create games. OF course, it’s a shame that no solid 4-year game design major is available that delves deeper into the art of making games. NSCC offers 80 different programs of study and boasts one of the most affordable tuition costs in the state, making it an excellent choice if you plan to move to a four-year school afterwards. Nearly 10,000 students are involved with the school while working toward their A.A., A.S., A.S.T., A.A.S., or certificate degrees. The 3-D Design and Graphics Technical Certificate will give you the skills needed to obtain employment in not just video game design but architectural design, manufacturing and product design, and television/multimedia production design as well. You’ll focus on concepts and processes of 3D design while getting hands-on experience with industry-relevant software. Jobs you’ll be able to perform after completing the certificate program include video game design, computer simulation design, technical marketing, graphic art, illustration, 3D, and more. 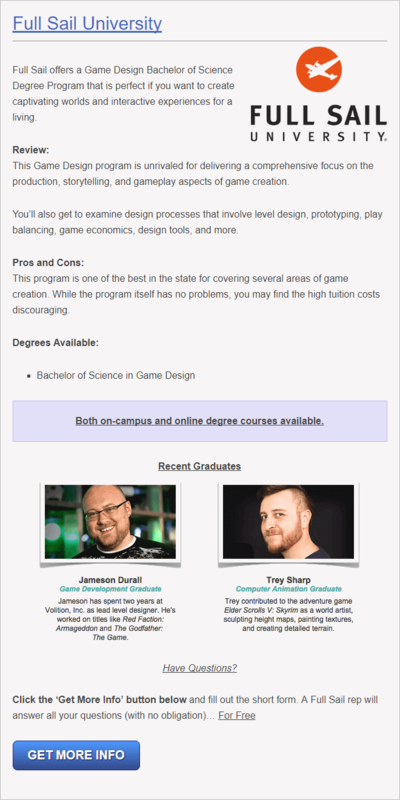 This certificate program is a quick and inexpensive way of finding out if you really want a career making games as an artist. The obvious problem with this school is that nothing more substantial is available, so you’re out of luck if you were hoping for Bachelor’s degree in game design. TNU is a private Christian university that consistently keeps their tuition and fees below the national average for Christian colleges. This includes offering financial aid to over 98% of students in the form of grants, loans, scholarships, and work-study opportunities. A total of 2,606 students enrolled in Fall of 2014 to take advantage of more than 120 programs, including Associate’s, Bachelor’s, Master’s, Post-Master’s, Doctoral, and Certificate degrees. Graphic Design and Technology program will give you the training needed to use cutting-edge graphic design software for the creation of graphics, marketing material, illustrations, and web page content. Becoming a skilled user in Adobe Photoshop, Illustrator and Dreamweaver will more than prepare you for a career in game design in a number of possible roles. This program is ideal if you want the strong background in technology and art that will make you a desirable hire at any game development studio. The fact that you are required to complete an internship at a company of your choosing to complete the program is also a huge plus as it prepares you for a real-world working environment. Opened in 1936, Memphis College of Art is a center of art and design education that prepares individuals for creative careers. It is one of only four independent, regionally, and nationally accredited art schools in the South and the only one to offer graduate degrees. Between 400 and 450 enroll each year to receive one of many BFA, MFA, MAT, and MAArtEd degrees. The Graphic Design program combines topics such as research, visual sensitivity, design, technology, business, and visual communications to prepare you for the career of your dreams. You’ll be ready to serve as a game designer after this program that focuses on teaching you how to manipulate, combine, and use shape, color, space, imagery, and typography to create captivating characters and worlds. 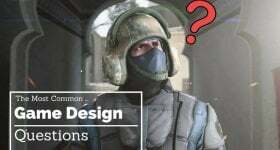 This program is a great opportunity to become a game designer and/or artist through excellent art courses such as drawing, 2D design, and more. Aside from the lack of a technical game design program, the high tuition might scare you away. Average tuition and fees for an undergraduate during the 2015/2016 academic year was $30,250. Other costs include $1,650 for art supplies and books, $6,700 for housing, $2,000 for a meal plan, $1,500 for transportation, and another $1,500 for personal expenses, making the grand total around $46,600. The International Academy of Design and Technology gives students the chance to earn a Bachelor’s or Associate degree in a variety of academic programs, including Fashion Design & Merchandising, Game Design & Development, Interior Design, and more. IADT’s game design and production program will help you develop a valuable knowledge of gameplay, team collaboration, asset development and integration, written and verbal communication, and business operations in the gaming industry. Students are taught by people who have actual experience making games, which you won’t find at just any school. This program is a good choice if you want to learn everything there is to know on the fundamentals of game design as well as video game production. The drawback to this school is that it doesn’t seem to offer a degree that gives you a solid understanding of programming for games. Approximate annual cost of attending International Academy of Design and Technology-Nashville was $18,419 for the 2014/2015 academic year for students of all residency status. Estimated housing and meal plan expensive per year is around $5,719. With graduation rates twice the average rate of other community colleges and 70% of graduates receiving employment in their related field, ITT Tech is a good choice if you want to learn the skills needed to become a game developer. The Digital Entertainment and Game Design program offers the knowledge and skills required to land entry-level positions at a company dedicated to making games and other multimedia content. You’ll receive a solid understanding of digital game design, animation, level design, gaming technology, game design processes, and more. 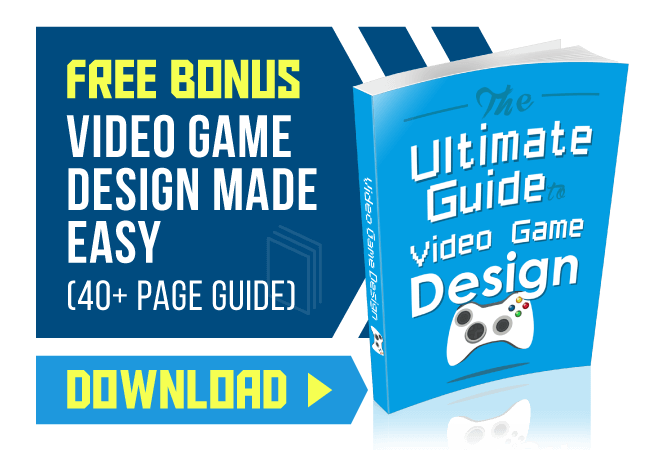 This is an excellent game design program because it covers several areas of game creation while also having you learn the software and tools you’ll be expected to know at most game companies. Approximate tuition cost of attending ITT Technical Institute-Nashville was $25,656 for the 2014/2015 academic year. This includes all students regardless of Tennessee residence status. Estimated housing and meal plan costs for an entire year are around $7,608. Vatterott Career College offers career-oriented programs with small classroom settings, allowing for the best one-on-one experience between students and teachers. The Graphic Design & Web Design program features a hands-on approach to learning the skill sets and techniques needed to be a professional designer. Industry relevant programs you’ll become familiar with include Adobe Flash, Adobe Illustrator, Adobe Dreamweaver, Adobe InDesign, and more. The number of valuable software programs you’ll learn from these courses is pretty impressive. However, if you were looking for something more programming-intensive that also focuses on game design, you’re out of luck. You can expect to pay between $9,000 and $11,000 in tuition, fees, books, and other expenses. Tennessee is definitely worth considering if you want a decent selection of schools that offer degrees useful for a game development career. The obvious drawback to studying here is that no relevant game developers or publishers are based in Tennessee, which means you’ll have to look elsewhere if you want to put your education to use.